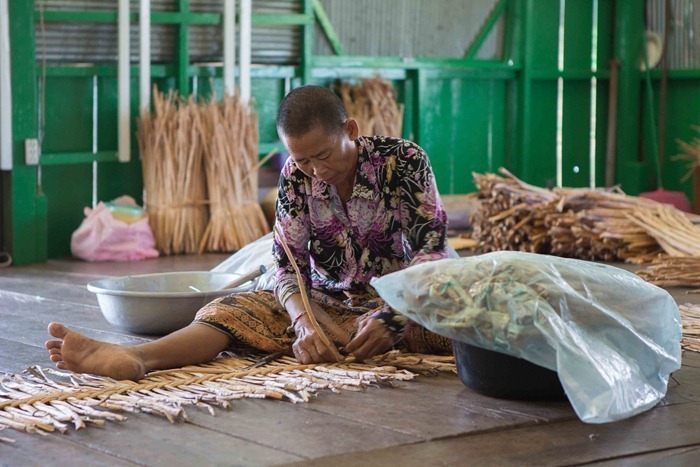 Our destination was a women’s collective that dries water hyacinths and weaves them into mats and other products. You can read more about the Saray collective here and how their efforts are employing 30 local women. We had lunch at their local restaurant and spent time with the women, learning to weave. They are very fast. 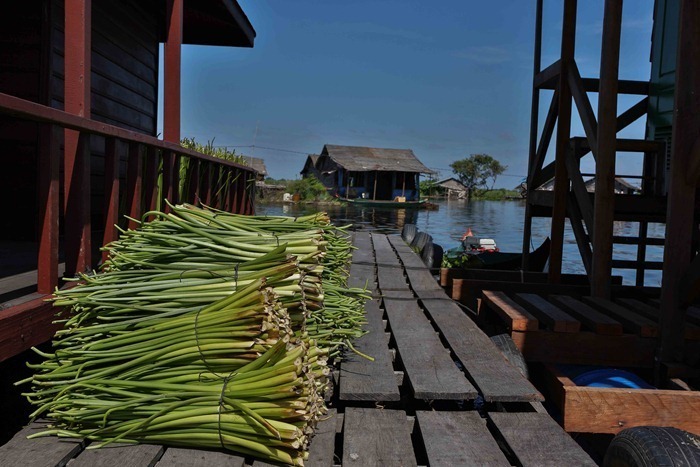 What I did not know is that the water hyacinth is highly invasive and quite a problem … once I learned that I started to look around and notice, it was everywhere. After lunch and the weaving we headed out on canoes to visit around the village. Our first stop was where they process the fish. It was amazing to see – they all worked in a cadence, the pounding of knives as they cut the fish. The fish on the way for processing. As we pulled into the next stop this little fellow was happy. As soon as he saw the nurses waiting to give him his vaccine (an ambush), his demeanor changed considerably. It took a few of the women to get him to the nurses. They processed the fish so fast. 3 knife strokes per fish. Fish loaded, we pulled away – the day complete. A very different, insightful and educational experience. If you are in Siem Reap, highly recommended. Thanks for dropping by. 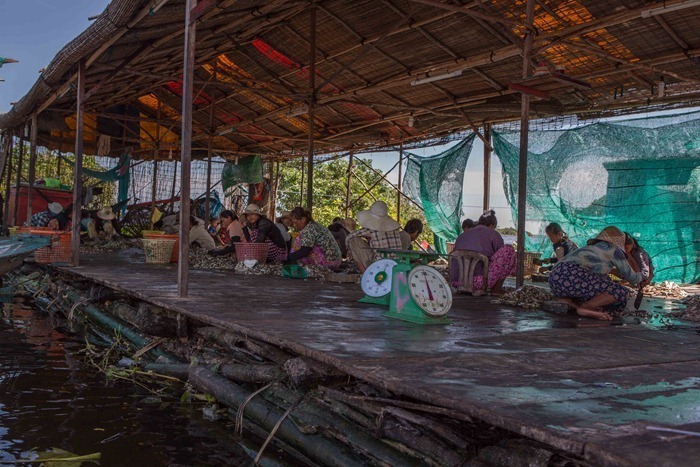 This entry was posted in Our Asia Adventure, Photography and tagged Cambodia, Canon 5D Mark III, Canon 70-200mm f/2.8, culture, fish market, fish processing, Saray collective, Siem Reap, Tonle Sap Lake, travel, water hyacinths by michaelweening. Bookmark the permalink.